Construction is a growing industry which needs more young people and offers some amazing career opportunities. 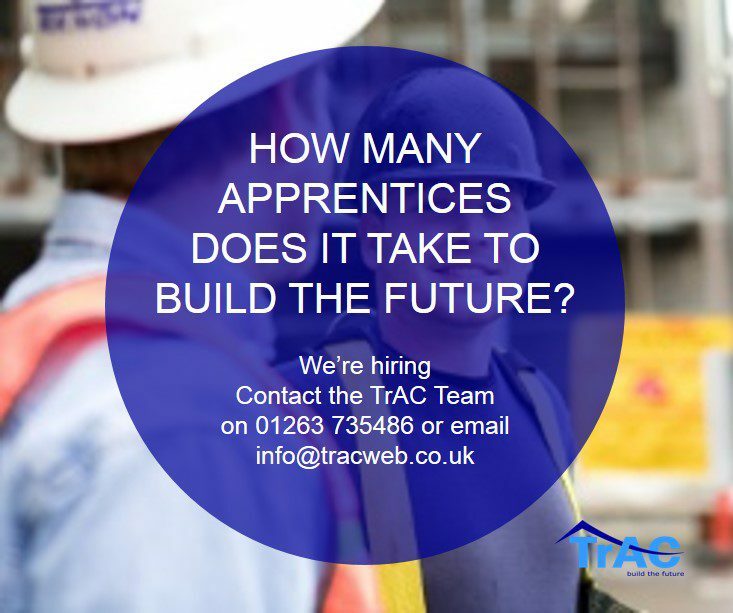 TrAC currently employs around 60 apprentices, who are all working towards achieving a recognised qualification in a wide range of construction roles. Could you be our next apprentice? By working with a number of different construction companies TrAC will support you every step of the way on your journey to completing a full apprenticeship programme. Working in partnership with our construction partners means that you get the valuable site experience needed to complete your apprenticeship. We have a wide range of apprenticeships available and so far 100% of our apprentices who have completed their apprenticeship have gone into employment - something we are very proud of. So whether you are interested in civil engineering, site management or want to learn a trade such as bricklaying or plumbing, we want to hear from you. We are looking for young people from all walks of life. You don’t need to be academic but you must demonstrate flair and have a spark that we can help shape and grow. The next generation of young people will be fundamental to the future success of the construction industry. 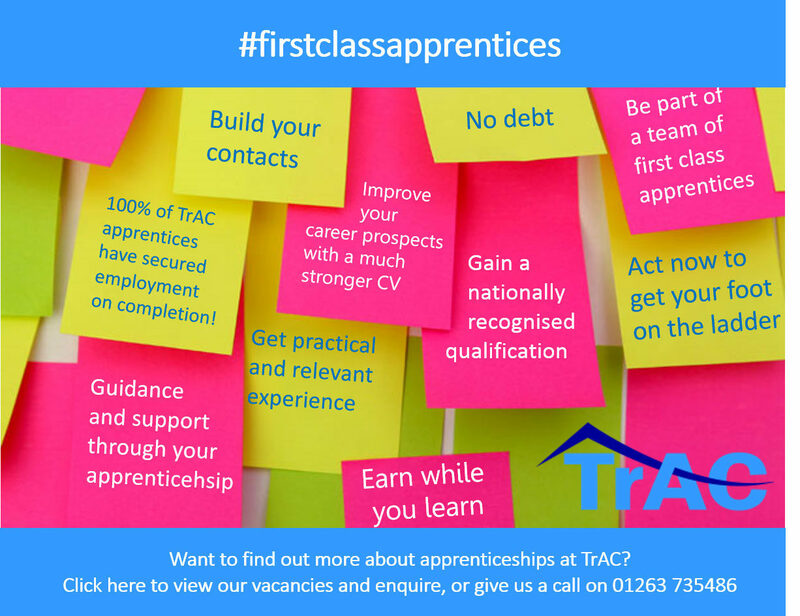 If you think you’ve got what it takes to be the next TrAC apprentice, please visit the apprenticeships page on our website or telephone the TrAC team on 01263 735486. TrAC offers a sustainable way of incorporating apprenticeship hours on Client projects - which is becoming increasingly significant as more and more Clients require the inclusion of apprenticeship training on projects. The main benefit is that TrAC employs the apprentice and makes the apprentice available for specific periods of work, thus relieving your business of the employment and administration liabilities which accompany any permanent recruitment. Construction Employers can find out more at this page on our website. To find out more about how we can help you, use the links provided to our website and follow us here on icanbea for the latest news, opportunities and more!